Each year construction workers are injured in accidents involving scaffolding. An expert construction accident attorney or scaffold accident lawyer is vital for analyzing and prosecuting a New York scaffold accident and obtaining maximum compensation. Steel scaffolding may be erected alongside a structure while under construction. Correct placement and locking of scaffold connections is very important. Each upright of the scaffold should have a firm footing such as a metal plate. A common mistake which leads to accidents on scaffolds is when the construction company does not use toe boards and guard rails on a scaffold which endangers workers making them more likely to fall off a scaffold. Common accidents involved in these types of scaffolds include attempt to move the rolling scaffold by pulling on an overhead structure. Failure to remove all materials and equipment prior to moving a Baker or rolling scaffold may also result in injuries as materials may fall off the scaffold injuring workers. A failure to engage a wheel lock on a rolling scaffold while in use can also result in injuries. Accidents on wooden scaffolds may involve placing a 2×4 wood piece horizontally and using it as a work surface. Other issues include failure to check whether the weight of construction materials and workers will be supported by the wooden scaffold being used. A failure to use proper footings or cross bracing may lead to accidents. Daily inspections of scaffolds by the general contractor or construction project manager should be conducted. No debris or tools should be left on a scaffold after the work day is finished. A change or alteration to a scaffold should be approved by the construction project manager. Working surfaces of the scaffold must be free of snow, ice, and other slippery substances. Working surfaces of the scaffold should be surrounded by guard rails to protect workers from falling. Unfortunately, many scaffolding accidents in New York City are the result of negligence. These units must follow proper installation, maintenance, and supervision guidelines. 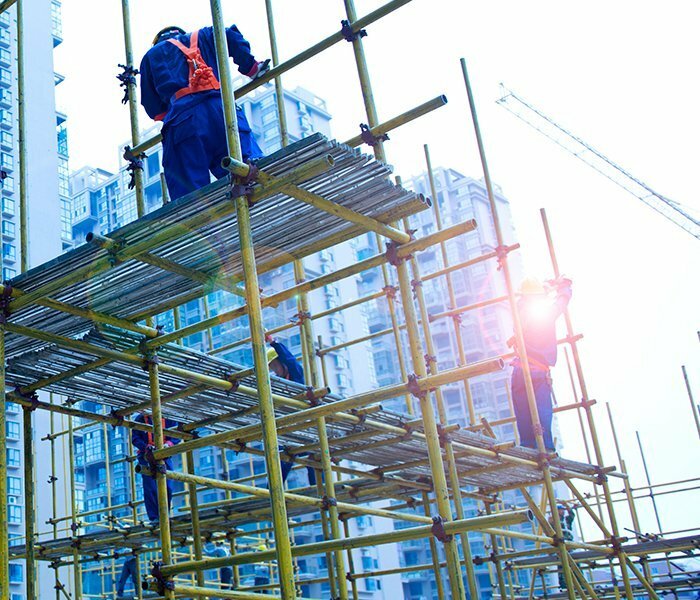 When vendors, supervisors, and contractors fail to install or maintain scaffolding, they may be liable for worker injuries. Know your legal options after a scaffolding accident – and when to contact an attorney. A company may install steel scaffolding alongside a building when it’s under construction. Locking and placing the scaffold connections properly is extremely important in preventing injury. 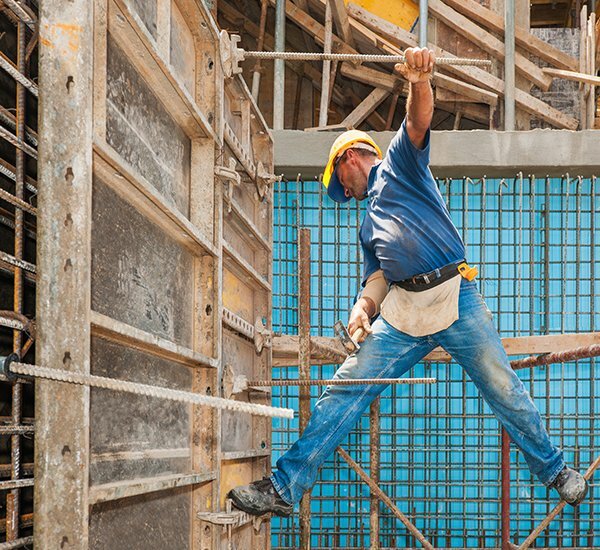 If a construction company does not use toe boards or guard rails on steel scaffolding, workers are more prone to falls. Other common causes of steel scaffolding injury include moving the structure with workers present, failing to remove all materials before moving a rolling scaffold, or failing to engage wheel locks. Wood scaffolding is less common but can also lead to injury. Common causes include failing to check weight limits and failure to install proper footings or cross bracing to adequately support the load. Seek immediate medical attention. Getting appropriate medical care serves two purposes: it helps you back on the road to recovery, and it provides an official record of your injuries. Be sure to follow your doctor’s instructions and keep your follow-up appointments. File a workers’ compensation claim. While it won’t fully cover your lost wages, it will pay for your medical care and give you some money while a personal injury case is pending. Contact Frekhtman & Associates for a free case evaluation. Our attorneys help the hard-working construction professionals in New York City gain compensation for their injuries, pain, and suffering. Our dedication is evident in our prior work. Talk to us about how we can help you. The party who negligently installed it. The manufacturer of the equipment, if it was defective. The general contractor or building owner, in cases of negligent supervision. At Frekhtman & Associates, we conduct a thorough investigation into your injuries and determine the parties responsible. If you sustained injuries in a scaffolding accident and think you may have grounds for a third-party liability claim, please contact Frekhtman & Associates to schedule a free initial consultation with one of our attorneys. If you or a loved one has been injured due to a ladder or scaffold accident, contact the attorneys at Frekhtman & Associates for a free consultation. We handle every case free of charge and pay all the expenses including court costs and expert fees. At the conclusion of the case, if we recover monetary compensation for you, we charge a percentage set by the New York Court system as our legal fee. Call us (212) 766-5656 or (866) ATTY – LAW or contact us online by filling out the form on our homepage.